Giveaway is closed! Click here for the winner announcement. Most of y'all who are here reading this are regular readers of My New 30 and know I have a food blog, Deep South Dish, that was, in fact, born out of this blog. When I received an offer to review this cookbook, Best of the Best from the Deep South , I knew right away that it was going to be a cookbook that both I, and my readers, would love. Well, I was right! If you love the kinds of southern dishes that I feature at Deep South Dish, then you are going to fall in love with this cookbook and want to add it to your collection. If I were to write and publish a cookbook, this would be it! If you've been reading here awhile, you already know how I feel about the "Best of" series of cookbooks because I've given them away here before. I own several of them - mostly from the southern states - and I am never disappointed in any of them. Each state cookbook - and yes, there is a cookbook covering every state - contains about 400 recipes, all contributed by well loved cookbooks from across that particular state - usually at least 80 different cookbook sources! And every cookbook presents you with not only great recipes, but also photographs, and little tidbits, facts and pieces of trivia about that state that makes them even more interesting and fun to own. Just when I didn't think that they could top this, Gwen McKee and Barbara Moseley, the southern ladies behind this beloved series of best selling state cookbooks, now introduce the first volume in their new regional series with Best of the Best from the Deep South. This regional series will soon include cookbooks from the East Coast, Plains, the Southeast, Midwest and Pacific Rim regions. I can't wait! Have a peek at this fantastic Sour Cream Coffee Cake I adapted from a recipe in the cookbook this weekend! With layers of pecans, cinnamon and brown sugar on the bottom, top and in the center of this cake, it is just delicious. I know that's only one recipe you'll fall in love with because this cookbook is filled with the kinds of recipes you find right on my own blog. Thankfully, the publisher has offered me the opportunity to share a copy with one of you! I truly only wish that I had 100 copies to give away, but I can tell you one thing for sure. This cookbook is definitely going on my gift list for upcoming bridal showers and definitely for Christmas gifts and I know it will be well received. 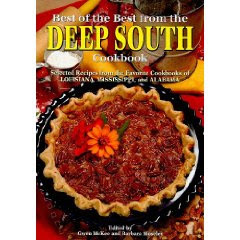 One copy of the Best of the Best from the Deep South Cookbook. Leave one comment here about what your most favorite southern recipe is and how it came to be your favorite. Share some memories! One thing ... you must leave an email contact, or have an email linked on your Blogger profile, for your entry to count! 1) Post about this giveaway on your own blog or a social bulletin board, linking back to this post. Come back here and leave a separate comment with a link to where you posted. 2) Copy and paste the tweet below to your Twitter followers about this giveaway and link to this post. Come back here and leave a separate comment letting me know you tweeted. 3) Become a fan of Deep South Dish on Facebook and post an entry on your personal Facebook Page introducing your friends to the Deep South Dish Facebook Fan page at http://www.facebook.com/SouthernRecipes. Come back here and leave a separate comment letting me know what you posted. 4) To keep up with the latest updates on Deep South Dish, follow Deep South Dish on the Google Friend Connect Gadget on Blogger, subscribe through an RSS Feed or on Email, follow us on our Facebook Fan Page or on Twitter. Come back here and leave a separate comment and let me know how you follow our updates! That's it! Giveaway is open to U.S. residents only please and will close on Sunday, January 31, 2010 at 10:00 p.m. CST. Good luck! Disclosure: Quail Ridge Press provided me with a free copy of this cookbook to review as well as a copy to offer to one of my readers. Pour one can of tomatoes into a saucepan, add a Tablespoon (or to your taste) of margarine and some salt. Heat on low 'til warmed. Add about 4 to 6 slices of bread, torn into pieces. Stir together and serve over hot rice. 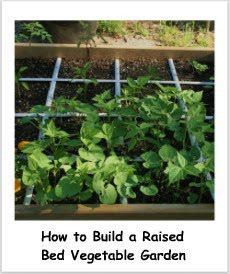 I have learned just last year that this is a recipe that was common during the great depression and also around hobo camps along railroad routes. Well, my dad was a young boy during the great depression and my grandfather worked for a railroad company. Last year, I found only a few references to this dish online in various forms (some included sugar--yuck!). I cannot pick a favorite! I learned to cook first from my grandmother. Love all of the old southern 'staples' she used to make! She did a lot of the old timer's style cooking and baking, but nothing spicy-and using ingredients available home-grown or purchased in our area. At age 13 I could bake a cake without a recipe! Joined Facebook Fan Page & also Tweeted! I love "visitin" with you and have tried a few of your recipes. We lived next door to an elderly lady when we moved to Marrero and I would love to smell what was cooking in her kitchen everday! I learned to make roux from her along with alot more. Chicken and dumplings, which I learned about as a cook at Phil's, a long-departed meat and three in Houston. One of my favorite Southern foods would have to be buttermilk fried chicken and homemade mac-n-cheese. Growing up Mom would always make fried chicken and boy was it yummy. It was only as an adult that I learned fried chicken wasn't supposed to be soggy! (no offense Mom *grin*) But she gave me a love for it. What better to go with it though than mac-n-0cheese...but not that boxed stuff. It's got to be the real homemade version dripping in freshly grated cheese, heavy cream and BUTTER!!! I also joined the FB fan page and have twittered about it. 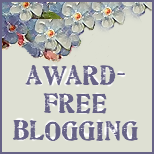 I also posted a link to the give-a-way on my blog. Happy cooking everyone! Fried okra! My Mama used to fry okra with cornmeal only in an iron skillet. She didn't bread each individual piece, but threw it all in there togethr and fried it up nice and crispy. I used to love to mix it with pinto beans. I have never been able to recreate her recipe and she has since passed away. I joined FB fan club too. I'd have to say that hushpuppies and fried chicken is one of my favorites. My hubby and I want to travel someday but now is not an option. So we get cookbooks from all over the US. I make us a nice supper from an area we would love to visit someday. Please enter me in the give a way. I posted the give a way on my blog! Too many favorites to mention. Probably mac 'n cheese though. I love food and lucky for me it really dose not change figure too much. I will be trying some of your great dishes. IF am new to the south (Texas) having come here from Minnesota so I really have alot to learn about southern foods - the book would be a great asset!! Southern Bread Pudding! Of course, I love all things southern. My husband has family in the New Orleans area. It's a giant smorgasbord of flavor!! I'm partial to your sweet tea... been drinking it for 5 days in a row! Fried okra is my all time favorite! I love love love Banana Foster. I don't know where I first had it but I can telly you that one of the places that I did the tasting for when I got married had the best version of it I ever tasted. I know that the first time I had it though I was with my mother. My mother was born in the south but raised in Texas and in California. I have been born and raised and lived most of my life in the Mid-West. One of my favorites is Biscuits and Gravy. Anytime my mom would make that growing up, it was such a treat! I have always LOVED fried okra. There is just something so irresistibly wonderful about it, that I can never pass it up! My favorite southern recipe is red velvet cake. I just love anything with cream cheese frosting and pecans!! Pecan pie. I use the recipe on the Karo bottle. I've tried others but that's the best one! Being from the deep south (south of New Orleans....yes there is land south of New Orleans) I'd have to say my favorite southern dish would be anything that contains cornbread. I absolutely love the stuff!!!! I honestly could eat it daily. Mmmmm I think I will go and bake some now! Shrimp and Grits is my favorite southern dish! I love your blog and wonderful recipes...thanks for the inspiration! My favorite southern recipe is my Granny's fried okra. She uses fresh okra from her garden, breads it with cornmeal, then fries it in her iron skillet until it is black. It is not done until it is burned! Yum! ...and subscribe via RSS feed! I guess when it all boils down to it, my favorite Southern dish is actually a drink -- ICED TEA. Sorry rest-of-the-world, yer tea cannot compare with Deep South tea. Second fave would be GRITS. A few years ago we were traveling down south (Mississippi) to be exact and we stopped in this mom and pop type of eatery...a cafe. I got this delicious peach cobbler and topped it off with some freshly made peach ice tea. Since that time...I drink peach ice tea every week! Love my peaches! One thing I would like to try that I have never tried is crawfish from the south. Only one? Fried okra. My mom died over 20 years ago before I learned how to make it and I finally cracked the code this past year. An iron skillet makes the difference. Then there's chili beans and cornbread, chicken and dumplings, macaroni and cheese. Can't pick one fave. One of my favorite deep south dishes has to be goulash. My grandma would be pressure cooking meat, when I would arrive home for school. I knew we were going to have a great supper with Goulash, cornbread (with honey butter) and sweet tea. My mouth would water. One day, I foolishly was trying to sneek into grandma's pressure pot to get some goodies. Don't let anyone tell you, you can't open a pressure cooker by hand. I did and it landed me in the emergency room with burns to my neck and chest. Yes, ma am, I learned my lesson right quick. Why not write that cookbook? I know you've got it you. I would SO love to win that cookbook. I would love to learn to make southern fried chicken. Whenever we have ventured south, the fried chicken we've had has been so superior to anything we get up here! My mouth waters thinking of it! Hoppin' John is my favorite southern recipe. Such a melding of flavors and textures. Both warm from heat and from spices. Also, it comes with memories of celebrating each New Year with family and friends -- an entirely different warm, but oh, so filling! Thanks for offering the book so that we can share not only recipes, but wonderful memories. My favorite southern recipe with the most memories for me is my Momma's cornbread dressing. One reason is it is delicious, but the main reason is it reminds me of my family and many wonderful memories of my life. Just the smell of it cooking in the overn is pure comfort for me. We always have this dressing at Thanksgiving of course, but also Christmas and usually Easter too. There are too many favorites to pick from, Mary, but candied sweet potatoes is one dish passed down from my grandmother to my mother, to me. I know it's sweet, but I LOVE it! My family cannot celebrate Thanksgiving or Christmas without them! And then there's fried chicken, chicken fried steak; I could go on and on! Great giveaway, Mary- sounds like a great cookbook. Well,these ladies,sure got me hungry! !Fried Okra,Cornbread Dressing(your cornbread),Peach Cobbler,that coffee cake(you baked),Fried Chicken.Well,I'm Southern and country,so pull yo chairs up,and been still.I hunted and take that turkey(wild or stor-bought)strip the breast out in little strips about the size of your finger,and cut across the grain,in 1 inch pieces.Salt & pepper,roll in flour,and smother fry,slowly.make the gravy,out of drippings,hot biscuits,rice,1/2 gallon of real cold milk(D-of course),and a piece of Marys coffee cake!! Now,some time,in the easy chair,in front of the fire,and sleep southern style tonight!! Oh Yes,DOGS-OH-DOGS,NO SCRAPS TONIGHT!! This looks to be an interesting cookbook - Good luck! I follow on Twitter (missle) and I tweeted this! I also am a FB fan. Love the coffe cake. I agree that DH makes good mixes. Have you tried the Mountain Dew cake? Very similar, just use Lemon DH mix, box of instant lemon pudding, 4 eggs, 2/3 cup oil and 1 can Mountain Dew. It is a hit for lemon lovers! I follow by email and look forward to them showing up in my inbox!! I became a FB fan too. My nanny made the best biscuits I have ever had, they were topped with homemade butter and blackberry jam. My job was to gather the eggs from outside and then she would let me sift the flour. Everything she cooked was done on/in an old wood stove and no matter what it was it seemed to taste better then anywhere else. My favorite to make would be Pecan Pie or Brown Sugar Pie. I think my favorite is Bananna Pudding or well-made Macaroni and Cheese. Both of them are the first things I think of when i think of good southern cooking. Cindy, my wife, cooks a lot of good southern dishes. We also get to enjoy good cooking at many of the "eating places" here in South Carolina. I added a blog entry at http://geneslens.blogspot.com/ today with a link to the contest. My favorite recipe is one that was published by Southern Living mag. back in the 80's for spicy fried chicken, it has lots of pantry herbs and spices and makes a nice dark crust and very flavorful...I am drooling now. Became a fan on Facebook, too. Ever since I visited New Orleans a few years ago, Bananas Foster is my favorite Southern recipe. Also Shrimp Etouffe. Being a transplant 26 years ago from Iowa to Texas it was important to me to learn how to make a true southern biscuit. I am proud to report I have it mastered!! Would love to have this book!! My mom used to make a similar recipe to LindaCinKY's, using canned tomatoes with macaroni. She added a little butter, some flour and milk, salt and maybe pepper, added cooked macaroni and fed the whole family... Served it with some home-canned green beans and cream-style corn, a pan of corn bread and a cold glass of milk-- and that was a meal we looked forward to! Mary, good luck with your drawing. It looks like you've had a fantastic response. Have a great day. As a lifetime southerner born and raised in west Tenn., it would be hard to decide what my favorite southern recipe is. Just never learned to love grits. My most recent favorite now that I have learned to make real roux is gumbo, particularly shrimp with andouille. I love grits. I like them just plain with butter and salt, or in my daughter's favorite recipe, cheese grits. This staple has been in my Louisiana family for generations. became fb fan to follow updates. Lemon Meringue Pie---lemony creamy and tangy, not the jello type! Chicken & dumplings along with fried okra are one of my favorites from Sunday dinners with our family. I love my PawPaw's BBQ chicken. He would sit outside with it all day long. But my favorite southern recipe is my mom's potato salad. With five kids she had lots of I don't like thats to work around but her potato salad was awesome and still is. When she visits I usualy have the potatoes already cooked for her. I remember everyone wanting her ot bring that to church potlucks, funerals, everywhere. Everyone loved it. what a great giveaway! the winner will be a very happy cook! Comments are closed! I wish I had 100 of these to giveaway - thanks for entering everybody.